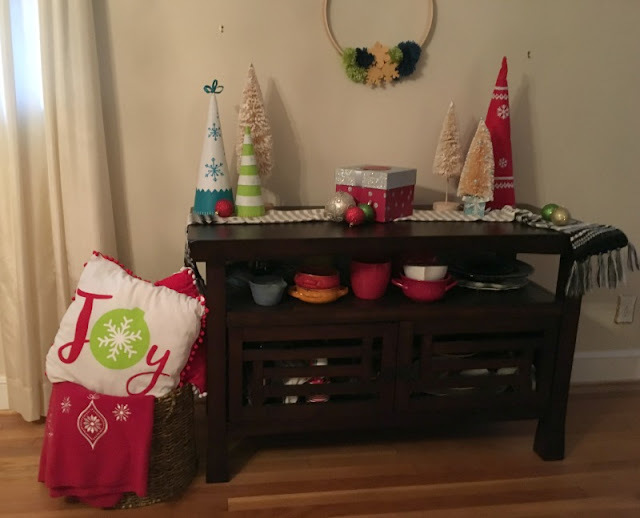 I am partnering with Oriental Trading to bring you some affordable ways to style your buffet for Christmas. All thoughts and opinions are my own. 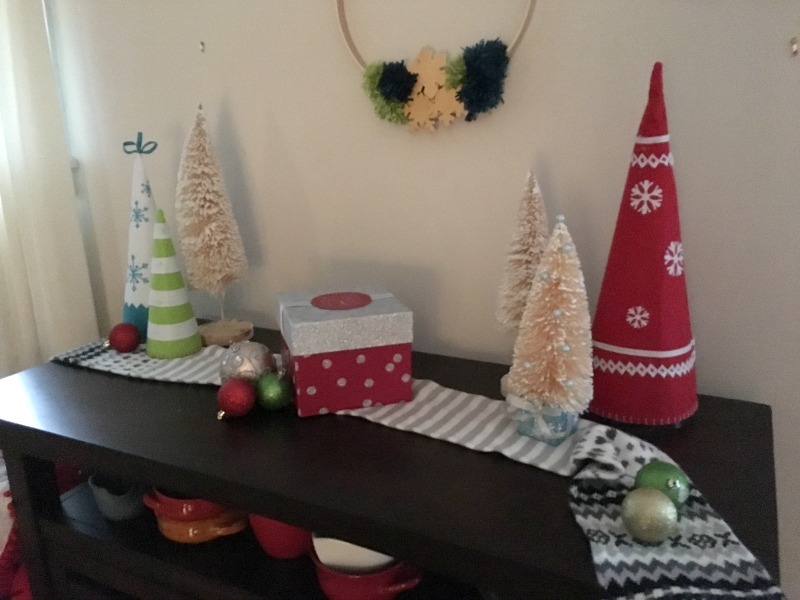 Now that Thanksgiving is over, I am in Christmas mode and am excited to show you some affordable ways to decorate a buffet for Christmas. I went with a bright color scheme, using reds, greens, and teals. 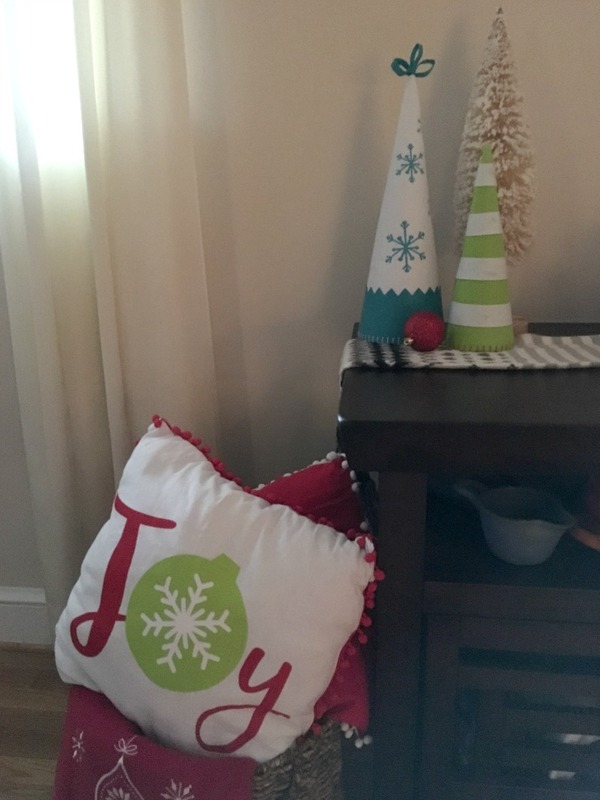 I mixed some of the items I had on hand with a few new pieces from Oriental Trading Christmas decor. 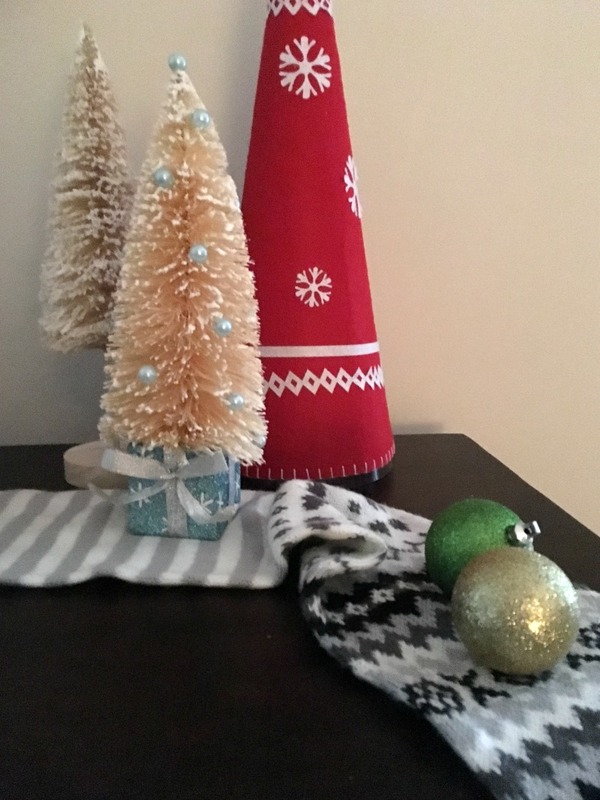 I started with a gray and white scarf used as a table runner for a neutral base. I love the cone shaped and bottle brush trees, so I picked up a set of three Nordic Noel Cone shaped felt trees and a set of two Large Bottle Brush trees from Oriental Trading. 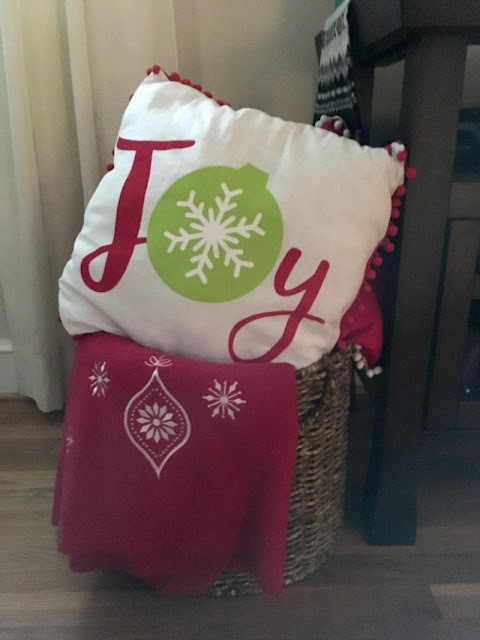 I grabbed a couple of pillows with pom pom trim and placed them in a basket with a fleece Christmas throw. 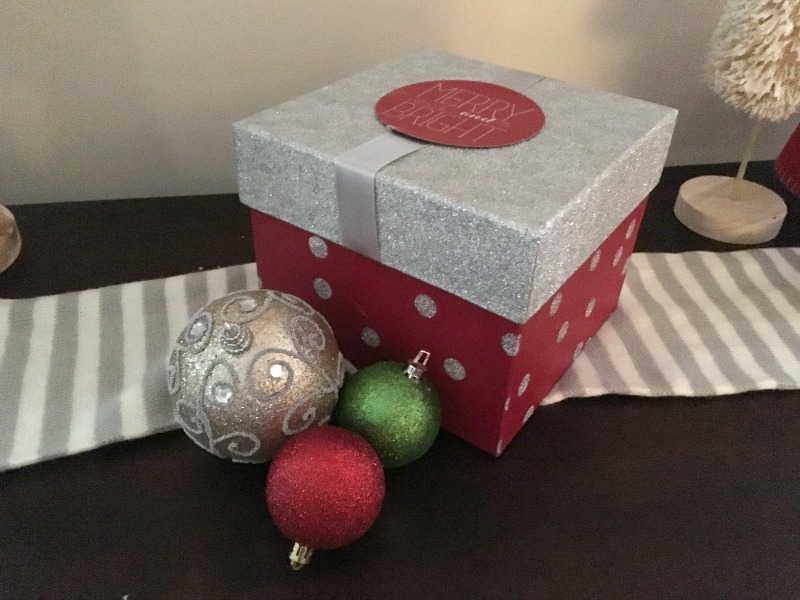 In the middle of the buffet, I placed a large red and silver gift box with some glittery ornaments around it. 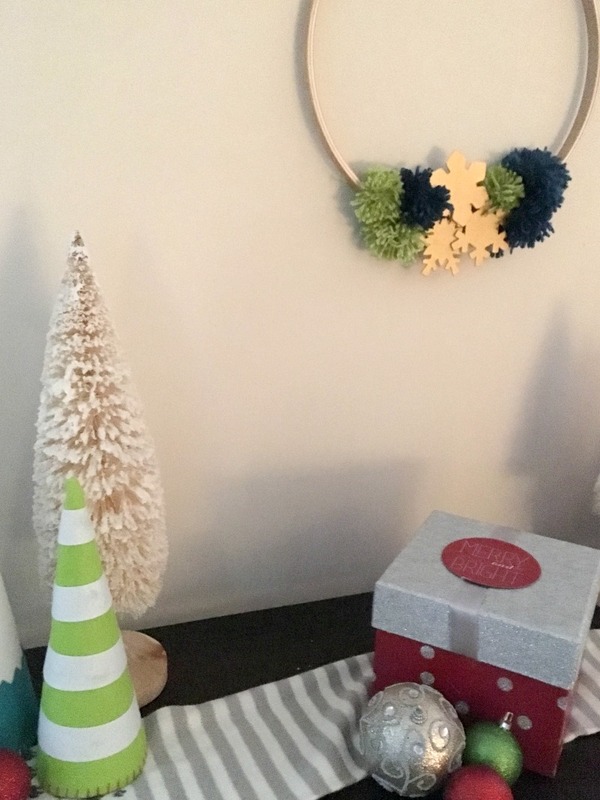 I hung my Winter Snowflake Embroidery Hoop wreath I made above the buffet. This simple Christmas decor can easily be moved in order to accommodate dishes when entertaining. 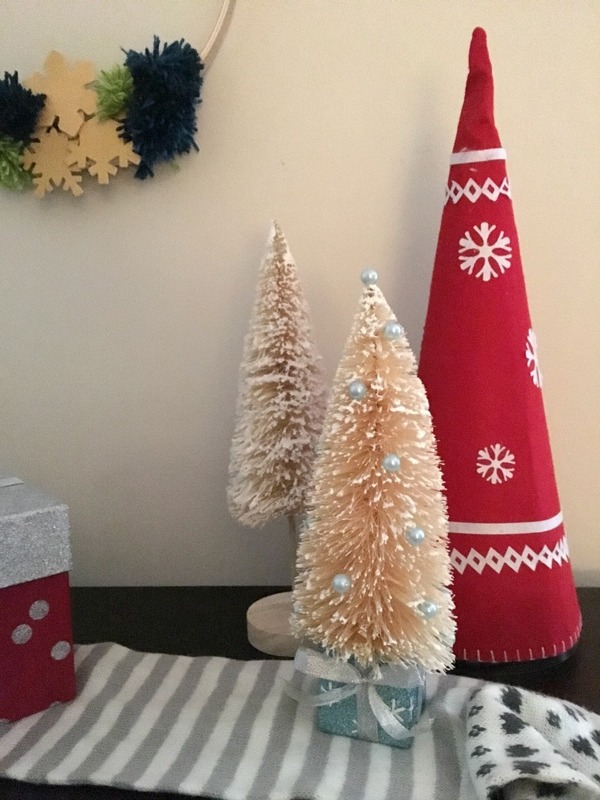 The Nordic Noel decor and bottle brush trees were less than $50 and the other items were purchased from the dollar tree and other discount stores. These trees would also be perfect for a mantel if you do not have a buffet. What is your favorite part of this decor? 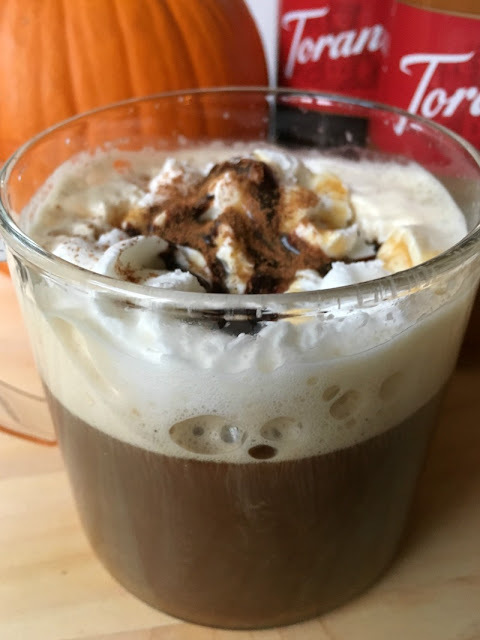 While we are on the subject of entertaining, I also have an easy Pumpkin Pie Dessert Coffee Recipe for you that your guests will love! 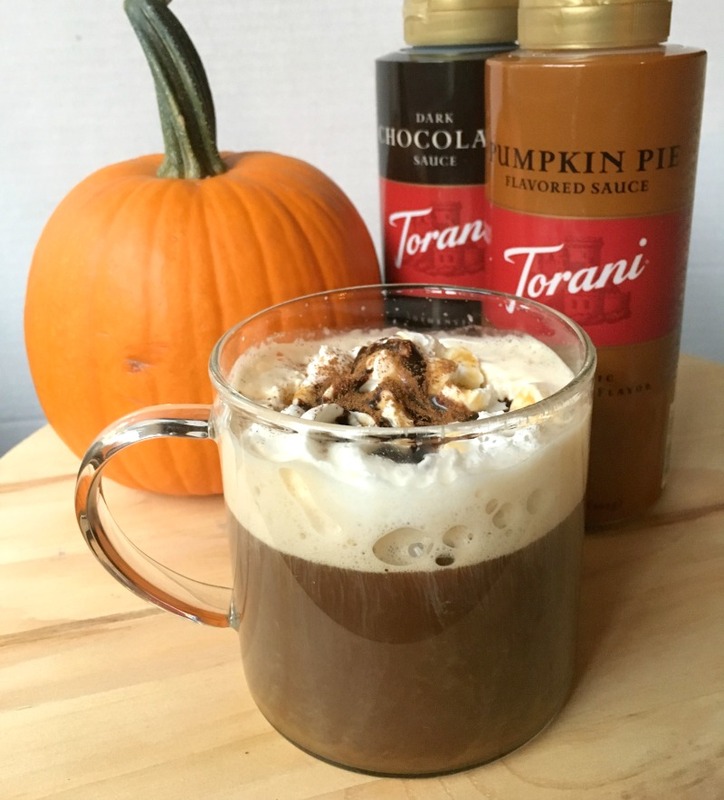 What is better than coffee and pumpkin pie wrapped up into one easy drink?! Disclosure: Torani provided the syrups for this recipe, but all thoughts are 100% my own. 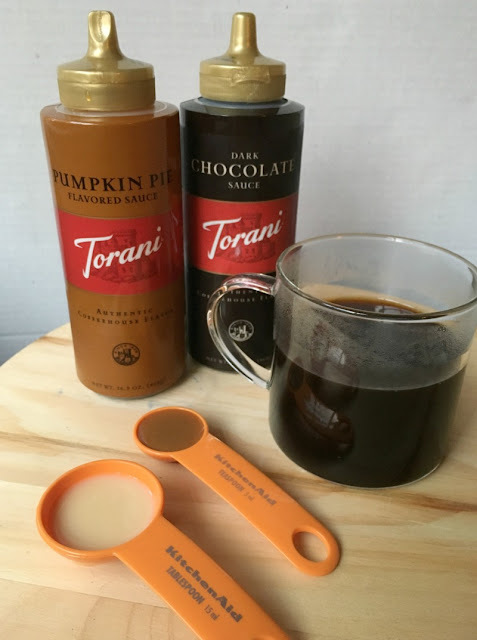 Simply combine the brewed coffee, Pumpkin Pie Syrup, and evaporated milk and garnish with whipped cream, dark chocolate sauce, and a dash of cinnamon. 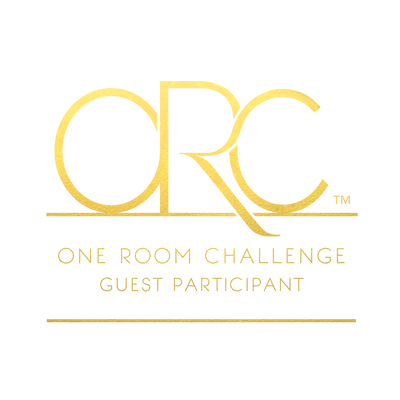 What is your favorite drink to serve your guests? 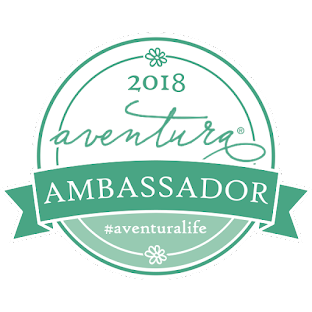 Leave me a comment with your recipe! 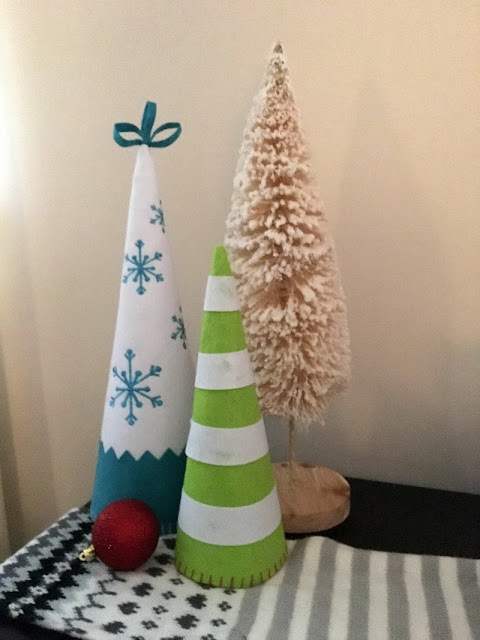 I like those little felt trees! They are super cute! They are the cutest! I need more of them! I just love bottle brush trees and those felt trees look great mixed in with them on the table. Beautiful! 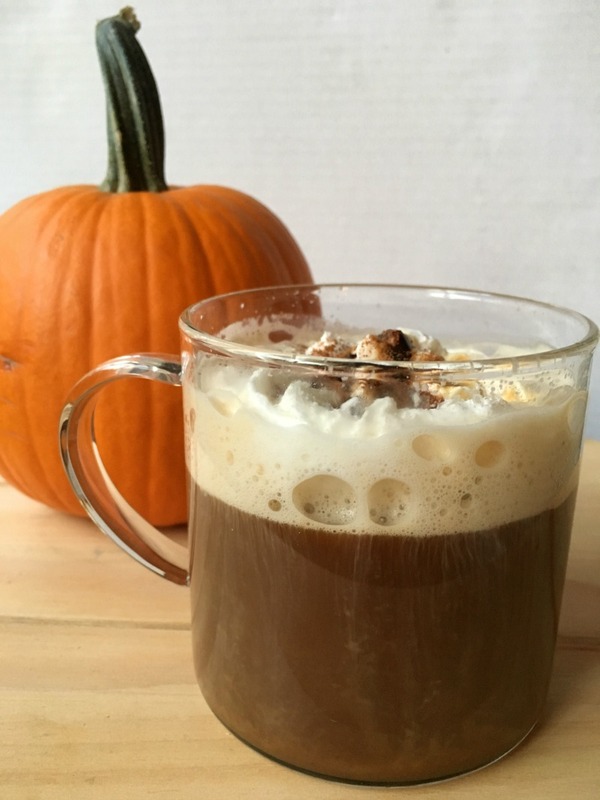 I need to try your Pumpkin Pie Dessert Coffee! I have the dark chocolate syrup, but not the pumpkin pie one... I'll have to look for it at the grocer. YUM!!! Bottle brush trees are the cutest! Let me know how you like the coffee if you make it!